NAT, the National AIDS Trust, launched its survey into local council’s funding of HIV care across England last week. 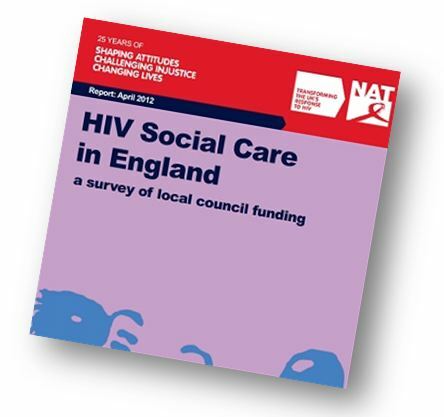 ‘HIV social care in England – a survey of local council funding’ looks into how HIV social care spending and services have changed over time. This report compares results with a similar survey from NAT in 2008. Social care can include help coming to terms with diagnosis, managing treatment, or relationships, as well as peer support, counselling, and personal care. In a time of severe cuts in local authority funding, the report shows that many local councils still recognise the real social care needs of people with HIV, and aim to meet them. This is largely due an indicative allocation for HIV social care within local council funding from central Government as well as a case made at the local level by people with HIV and organisations which support them. However, the report says restricted budgets are having a negative impact on HIV social care provisions. Money is being diverted from the HIV social care allocation to make up for cuts in other areas meaning some services are less available. In addition, it says, people with HIV must now be determined to have ‘substantial need’ to qualify for any individual social care support. This may mean people with HIV are neglected until they reach crisis point, when it is less easy and more costly to help. Local councils must improve their needs assessments and their evaluation of the impact of the social care they provide to people with HIV. Funding for voluntary sector organisation to provide low threshold open access services for anyone with HIV in need is more important than ever and must be continued. Deborah Jack, Chief Executive of NAT, said: “It is encouraging to see that many local councils have not forgotten the vital social care needs of people living with HIV. However, this does not mean that services are without threat in this time of cuts. “It is crucial for local councils to ensure that the specific allocation for HIV social care within the Formula Grant is spent on meeting the needs of people with HIV and not divert to other areas. In addition, everyone working in social care should have a good knowledge of HIV so they are confident in dealing with the related issues.